Hello SCB-Toronto Followers and Aficionados! SCB-TO Board elections PLUS a talk by Dr. Tyrone Hayes, Risky Business: Hormones, Frogs, and You all on the evening of Nov. 10th. SCB-TO is partnering with Environmental Defence, Canada’s premier environmental action organization, to bring you Dr. Tyrone Hayes from UC Berkeley. 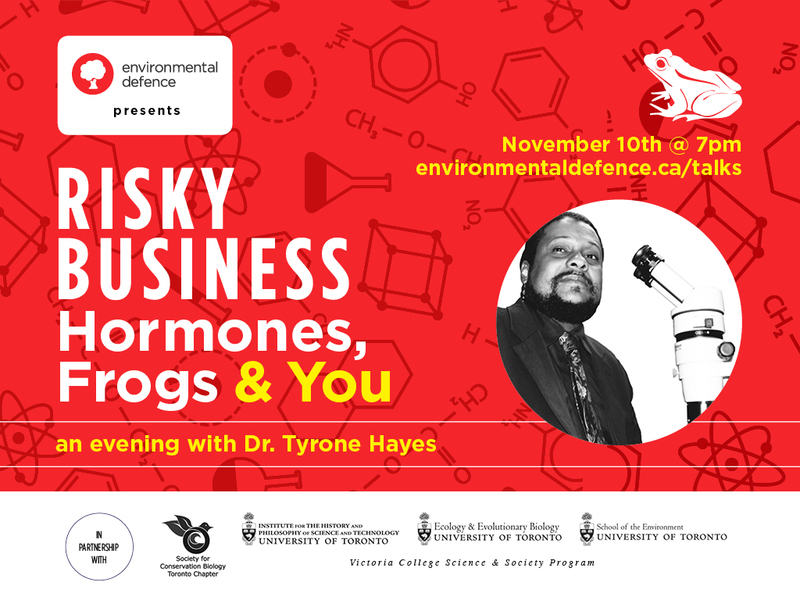 Dr. Tyrone Hayes will share his experience researching endocrine-disrupting chemicals and how they can affect the environment and human health. Learn about the challenges he faced when he tried to share his findings, and how this ties to contemporary debates surrounding the relationship between science and industry. More information including how to register for this event here. Every year SCB-Toronto elects a new Board who help to direct and implement the goals of the Toronto Chapter of SCB. We are part of a growing number of local chapters who work in diverse ways to raise awareness of local conservation issues and provide an important linkage between the Society’s Global directives. Check out more about SCB Global, and read below for backgrounds of our candidates. Remember, to vote, you need to be a SCB member. Check out the benefits of membership here. Michelle is a PhD student in the Department of Ecology and Evolutionary Biology at the University of Toronto. Her research examines how fragmented landscapes shape gene flow and connectivity in calcareous grasslands. This is her third year on the SCB-TO board, and has played active roles in the SCB-TO Goes Rouge Project and fundraising events. Amanda is a PhD student at the University of Toronto with a strong passion for conservation biology, in her own research and in promoting conservation awareness. Her previous research focused on management of a threatened snake species, and her current research centres on the implementation of marine protected areas on the Pacific coast of Canada. She served as Vice President of the SCB Toronto Chapter last year and is excited to continue in that role in the upcoming year. Jen is currently working towards her BSc at York University and hopes to continue onto graduate studies. She was an active volunteer with the SCB-TO pollinator diversity project in Rouge Park, and served as communications coordinator in 2014, helping to organize a nature and wildlife photography contest. She is looking forward to continue engaging the public in local conservation issues. After completing her master’s degree at the University of Toronto in 2009, Ekaterina started working as a research technician in insect physiology. She has 2 years of experience in the environmental NGO sector, and was an active participant in SCB-TO’s Rouge Park project. As Conservation Chair she helped organize a variety of chapter events including a city wide nature and wildlife photography contest. She is excited to continue her involvement in the organization in the coming year. Election poll opens 6:45 and will continue throughout the talk, and after the talk finishes. ** Space is limited! 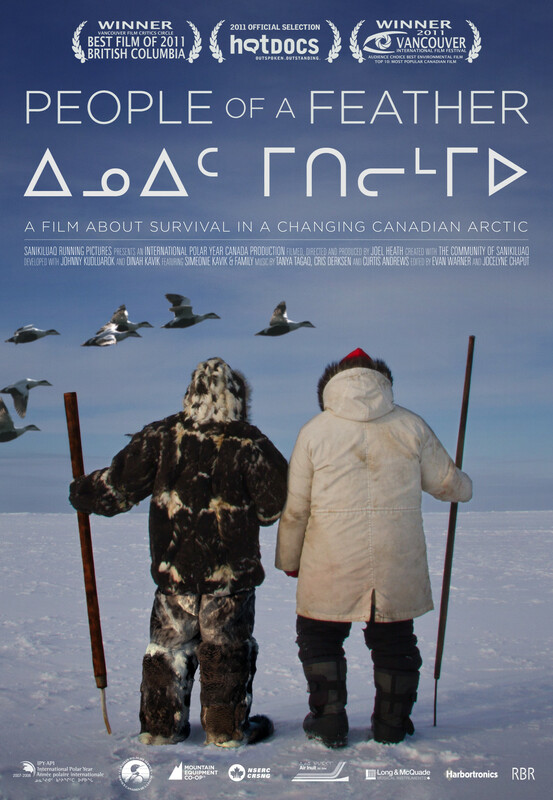 Be sure to RSVP at http://www.environmentaldefence.ca/talks to save your spot! SCB-Toronto Elections do not require an RSVP, but the talk does.